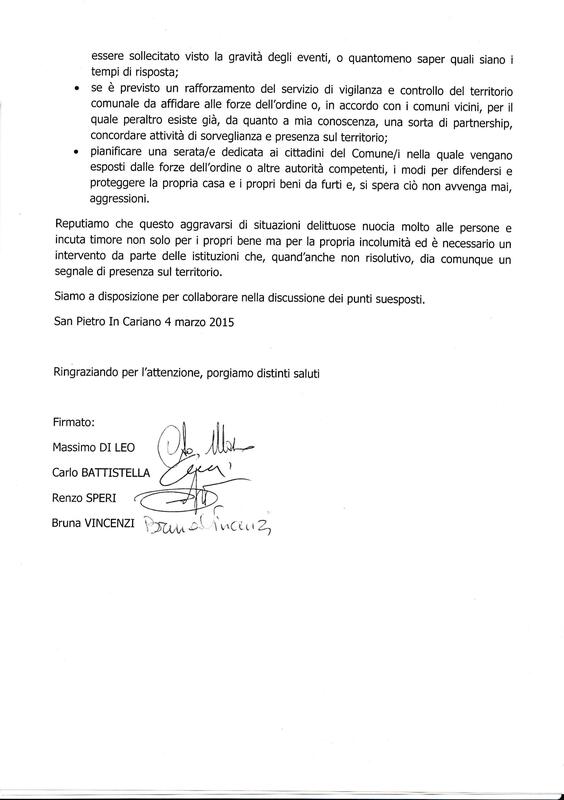 -COMUNICAZIONE DEL SINDACO SU PRELEVAMENTO DAL FONDO DI RISERVA. -ACCORDO DI PROGRAMMA AI SENSI DELL’ART. 32 DELLA L.R. 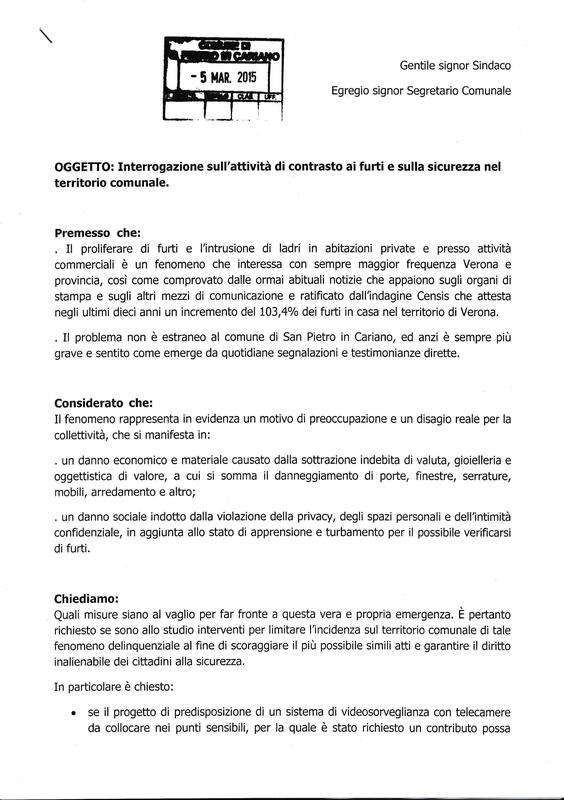 35/2001 TRA LA REGIONE VENETO, IL COMUNE DI SAN PIETRO IN CARIANO, E LA DITTA PROPONENTE IMMOBILIARE CAMERI S.R.L. FINALIZZATO ALLA RIQUALIFICAZIONE URBANISTICA E AMBIENTALE DEL COMPENDIO EX LONARDI IN COMUNE DI SAN PIETRO IN CARIANO (VR): ANNULLAMENTO PARZIALE IN AUTOTUTELA DELLA DELIBERAZIONE DEL CONSIGLIO COMUNALE N. 20 DEL 13.05.2014. -RETTIFICA DELIBERE C.C. 80 DEL 30.12.2010- N. 26 DEL 28/06/2012 E N. 31 DEL 24/05/2013. -APPROVAZIONE REGOLAMENTO PER IL FUNZIONAMENTO DELLA CONSULTA COMUNALE PERMANENTE DELLA FAMIGLIA. -MODIFICA AL PROGRAMMA DELLE OPERE PUBBLICHE PER IL TRIENNIO 2015-2017 (1°) CON CONSEGUENTI VARIAZIONI DI BILANCIO.